Featuring a plethora of flavors, there’s not one wine that’s perfect for every Sichuan dish, however, if we focus on most popular spicy dishes there are several candidates. I’m somewhat surprised but also quite pleased at the buzz and astounding popularity of McDonald’s Sichuan sauce in the USA. I’ve never tasted the sauce and doubt it can match the fieriness and complexity of real Sichuan sauces but nonetheless it portends an advancement of the American palate. In reality Sichuan-style cuisine or reasonable facsimiles of the real thing in American Chinese restaurants have long surpassed the popularity of more mild Cantonese cooking. What we find here in China is a complex amalgamation of ingredients, cooking techniques, flavors and textures that collectively comprise one of the world’s great cuisines. In 2011, UNESCO officially recognized the city of Chengdu as city of gastronomy. The UN body could well have also included Chongqing, which has its own style of Sichuan cooking. Contrary to popular belief not all Sichuan dishes are spicy. In fact, according to my Sichuan gourmet friends, a properly laid out Sichuan feast should be balanced and half of the dishes should not be spicy. While the famed Sichuan peppercorns, that impart a numbness on the palate and the fiery chili peppers that provide a fiery sensation, are the modern stars of Sichuan cooking, they are relative newcomers. Thousands of years ago, during the Qin (221-206 BC) and Han (206 BC-AD 220) dynasties, when Sichuan-style cuisine was gaining recognition as a distinct style of Chinese cooking, most of the dishes were sweet or mild flavors. Then, a progression of new ingredients changed the character of Sichuan cooking. Today, one of the most influential was the chili pepper which didn’t appear in Sichuan until the late 16th or mid-17th centuries depending on which food historian you believe. In any case, the spicy nature of Sichuan cooking is historically a relatively recent occurrence. Featuring a plethora of flavors and textures, there’s not one wine that’s perfect for every Sichuan dish, however, if we focus on several of the most popular spicy dishes there are several candidates. One of the best comes from California. Once believed to be a true American variety, Zinfandel is actually a genetic match to the Primitive grape of Puglia, Italy. Italian immigrants brought the grape to California in the early 19th century and 50 years later the variety was widely cultivated to make hearty and fruity red wines. Zinfandel lost favor in the early 20th century as French varieties, such as Cabernet Sauvignon, Merlot and Chardonnay became increasingly popular. Then sometime in the early 1970s a select number of winemakers started making a semi-sweet pink wine they curiously called white Zinfandel. Though by no means a distinguished wine, these friendly white Zinfandels which were also referred to as blush wines did introduce a new generation of Americans to wine and helped to reintroduce the variety to American palates. Some years later a new school of quality-minded California winemakers rediscovered the grapes affinity for making dark colored, fragrant and fruity red wines. Lovely Zins are made throughout California and small amounts can also be found from South Africa and Australia. Some of the best Zinfandels come from the northern Californian region of Sonoma County. In 1812 Padre Jose Altimira planted vines in Fort Ross in southern Sonoma. Less than a decade later Russian colonists planted even more vines in what is aptly named the Russian River district of Sonoma County. About the same time Franciscan monks also started to make wine nearby in the county. The inferior Mission grape variety was popular with these early settlers because of its heartiness, but by the mid-to-late 20th century the increasing number of family-owned wineries started to cultivate higher quality varieties. Today Cabernet Sauvignon, Pinot Noir and Merlot vines are more widely planted in Sonoma, but the Zinfandels have also made a distinguished name. The Zinfandel grape is famous for offering a multitude of berry and other red and dark fruit sensations. Sonoma Zins often exhibit a mouth titillating array of berry-like sensations including raspberry, blackberry, boysenberry, blueberry, cranberry, black cherry and plum flavors. Quite often the fruity flavors in Zinfandel come with a touch of spice. Sonoma Zins also balance their fruitiness with moderate soft tannins. Collectively these qualities make Sonoma Zinfandels an excellent wine to pair with spicy Sichuan dishes. 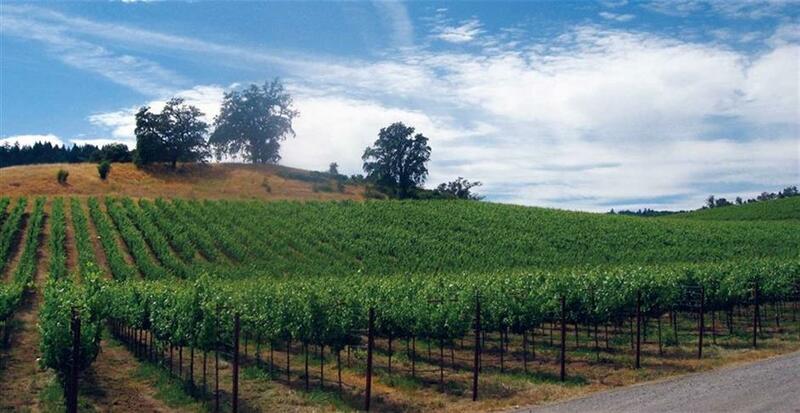 There are over a dozen of Sonoma wineries that make fine Zinfandels. At the top of my list would be the Zins of Coppola, Ridge and Seghesio. Though located in adjacent Napa Valley the Coppola and Ridge wineries make some mighty fine Zinfandels from Sonoma grapes. Other Sonoma Zinfandels of note that can be found in Shanghai include DeLoach, Ravenswood and Kendall-Jackson. Whatever wine you choose to accompany your fiery Chinese dishes, one rule you should always follow is to chill them. The cooler temperature of the wine offsets and sooths sensations of heat in the mouth. Whites should be served about 6-8 degrees Celsius, light fruity reds about 12-14 degrees Celsius and more full-bodied reds between 14-16 degress Celsius. This means an ice bucket is one essential tool for success. Varieties: Chardonnay, Pinot Noir and Cabernet Sauvignon varieties are more widely planted in Sonoma but the region also makes excellent Zinfandel wines that comprise nearly 10 percent of production. Key term: The acronym AVA stands for American Viticulture Areas which is loosely the equivalent of France’s AC or Italy’s DOC appellation designation systems but is far less regulated and stringent than the European counterparts.